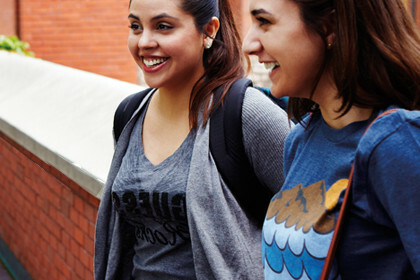 Humber College serves more than 19,000 full-time and 55,000 part-time students in Ontario, Canada. With 60 computer labs and more than 80 operating system images, the college found it challenging to deploy applications quickly and to manage image size. It used Microsoft® Application Virtualization to virtualize 60 applications. As a result, it reduced its image size, reduced deployment time, anticipates lower licensing costs, and is quick to respond to user needs. Humber College is a polytechnic post-secondary institution located in Toronto, Ontario, Canada. Its mission is to prepare students for careers through a comprehensive choice of applied and liberal education programs. It has an active enrollment of 74,000 students, and 4,000 staff and faculty. The college has three primary campuses and several satellite campuses. The IT staff at Humber College manages 3,000 academic workstations running the Windows® XP Service Pack (SP3) operating system. It manages hundreds of software applications in 60 computer labs across the campuses with more than 80 customized images. Each image includes only the software needed for the academic discipline supported by the lab, though some images include up to 70 software applications. Maintaining a growing number of images year after year was becoming time-consuming for IT staff and as image sizes increased, so did the inefficiencies. In addition, the time required to build and deploy images was increasing because of the large image sizes. At the minimum, it took at least seven hours to build and deploy a single image. Adding to the extensive time commitment, faculty often had last minute ad-hoc requests for changes. To efficiently manage change requests, the IT staff would consolidate requests, then fix and redeploy images three weeks into each semester. Though an efficient IT management approach, it was challenging to respond to time-sensitive requests immediately. Humber College was looking for a solution that would enable it to centralize application deployment, reduce the size of the images, can accelerate its time-to-delivery for new services. Humber College learned of application virtualization in April 2007 after Microsoft Corporation acquired the technology. After evaluating a few other application virtualization products and thin-client alternatives, Humber College decided to pilot a solution with Microsoft® Application Virtualization (App-V), part of the Microsoft Desktop Optimization Pack for Software Assurance. For the initial rollout, it used Microsoft App-V 4.2 in its 220 podium workstations to virtualize 21 of the 45 applications used in the setting. For the second phase, the IT staff focused on The Business School labs with the collaborative help of Microsoft Gold Certified Partner WolfBridge TSS. It has virtualized a total of 60 applications, 27 of which are in The Business School labs, and plans to virtualize more applications in the future. In total Humber College has installed the Microsoft App-V client on 3,000 computers, with at least one virtualized application delivered to each. Some of the key applications that Humber College has virtualized include an e-mail client that was difficult to manage because the vendor releases updates often, a door-access control system that requires regular client-side upgrades, and a tax software application. Using Microsoft App-V, Humber College can reduce its storage footprint, deploy applications faster, better utilize IT staff, create the opportunity to reduce licensing costs, and respond better to the needs of its end-users.